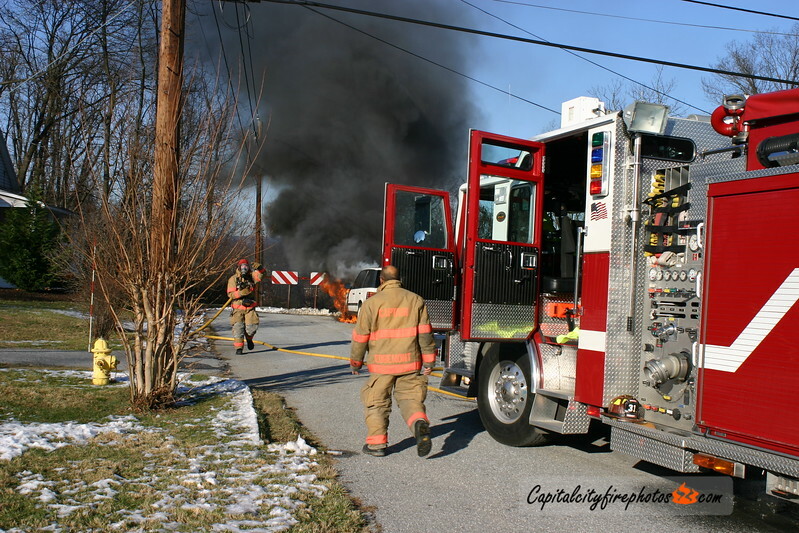 Around 1430 hours Box 31-1 sent Company 31 (Edgemont) to 604 N. 28th Street for a vehicle fire. Engine 31 advised of a working fire enroute and requested an engine from 32 (Progress). Engine 31 arrived to a well involved engine compartment fire. A line was stretched to attack the fire while crews arriving on Engine 32-1 assisted. The fire was knocked down in a few minutes and companies went in service in about a half hour.